Why Do the Obamas, Bidens, and Clintons Choose Friends Schools? When Malia Obama, then 12, and her sister Sasha, then 7, started school January 5, 2009, at Sidwell Friends School in Washington, D.C., all eyes in the country were on that particular Quaker school, chosen over many illustrious vying institutions. The news media pointed out that Chelsea Clinton had graduated from Sidwell, as well as the Biden grandchildren and some Al Gore progeny. Not only that, but I found out Vice‐President Joe Biden had sent his children to Wilmington Friends School in northern Delaware, and that his enthusiasm for Quaker schools may have contributed to the Obamas choosing Sidwell. I wondered: What is it that attracts the rich and famous to Quaker institutions of learning? The school’s web brochure says the school stresses a cooperative, rather than competitive, search for knowledge and believes that diverse perspectives and meaningful inquiry fuel academic excellence and promote personal growth. Each of its three divisions (lower, middle, and upper) stresses empathy, equity, and social justice in age‐appropriate ways. Its unique diversity structure infuses equity and mulitculturalism into classroom practice, and stimulates creative inquiry, intellectual achievement, and independent thinking. But I suspected the answer went deeper. This past September, when I visited my longtime friend Violet Richman, she made the comment, “I’m so glad I finally get the chance to vote for Joe Biden!” As a Pennsylvania resident, she could not vote in a Delaware election, but now she could vote for him in the upcoming Presidential contest. Violet had taught music at Wilmington Friends School for 27 years, retiring in 1991. So I called her and asked her about the Bidens. “Vice‐President Biden’s brother, Frank, was a member of the class of ’72 at Wilmington Friends School,” she replied. “His son, Beau, was in the lower school. His sister, Valerie Biden Owens, was a colleague. She taught social studies. Valerie was Joe’s campaign manager for his successful run for the Senate and continued for all the following years. My sister, Valerie Walker Peery, remembers Susan Eisenhower, granddaughter of President Dwight Eisenhower, when they both were at Westtown Friends School. Susan was in the class of 1970, the class behind my sister’s. Valerie spoke to me about Susan in a recent phone interview. My own personal thought on the subject is that early on, back in the 1600s, Quakers renounced titles of all kinds and resolved not to be swayed or impressed by titles or lands, privilege or bloodlines. My ancestors, the Walkers, renounced their titles before joining the Religious Society of Friends, determined to consider the individual character of a person, not his or her outward trappings. The colonies eventually saw as desirable an egalitarian society that the Quakers had long practiced. And though people in the United States idolize premier athletes, actors, singers, politicians, and the rich, and even though they may look longingly at British royalty, they still see “normalcy” as idyllic and essential in a healthy upbringing for their children. The Obamas want this normalcy for Malia and Sasha more than they want them to be idolized and their every move watched and every stitch of clothing copied by millions of girls nationwide. I believe “that of God” in Malia and Sasha will be treasured and kept safe at Sidwell Friends, as many graduates of Friends schools can attest. Even Charlie Gibson, the network anchor who was reporting on the Sidwell Friends media story, said he was a graduate of Sidwell Friends and counted it as a great experience. As for myself, I attended Westtown and Friends World College, and my standout take‐away experience is that of the overwhelming and awesome, non‐judgmental acceptance youngsters feel in the open arms of loving Friends, teachers, and students. 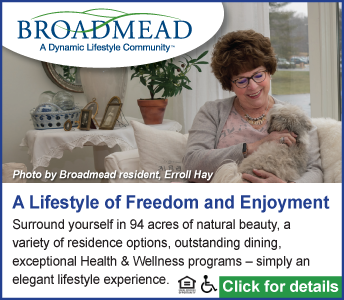 Brenda Beadenkopf, a journalist and former newspaper editor, is a member of Concord Meeting in Concordville, Pa., with dual membership in Penn Friends Community Church in Cassopolis, Mich., near her home in Niles. She feels a calling to build bridges between unprogrammed and programmed meetings. She is writing a book about her late father, Quaker pacifist and activist Charles C. Walker, who worked in both the Civil Rights and peace movements.